Welcome back to Part II of “Livin La Vida: Janelle Blanford“, a couple weeks ago we met model Janelle and learned about how she was discovered and what she would like to accomplish. Now let’s find out a little more of what this rising star does. First let’s see what her daily routine is all about. While everyday is different what would the most typical shoot day be like for a model on the go? OK, so maybe no bagel. While every shoot is different and at times you don’t know what to expect, the thought of being the subject, dressing up and having fun is pretty cool. So what new projects are in store for Ms. Blanford? So all those shoots must be accompanied by some pretty sweet music! Queue the video montage! Haha but really though, what fuels little J and gets her ready for work? Sounds like perfect must-haves! Here’s to a great career for this lovely doll. We’ll be watching her on the billboards pretty soon. To know more about Janelle, follow her on her social media sites below and we hope you’ve enjoyed this feature of “Livin La Vida”. Trendsetting Tuesday brings about something that captured my attention a while back. When is it right to splurge on an item and when is it better to just get it for a cheaper price? A couple months ago I did a Splurge vs. 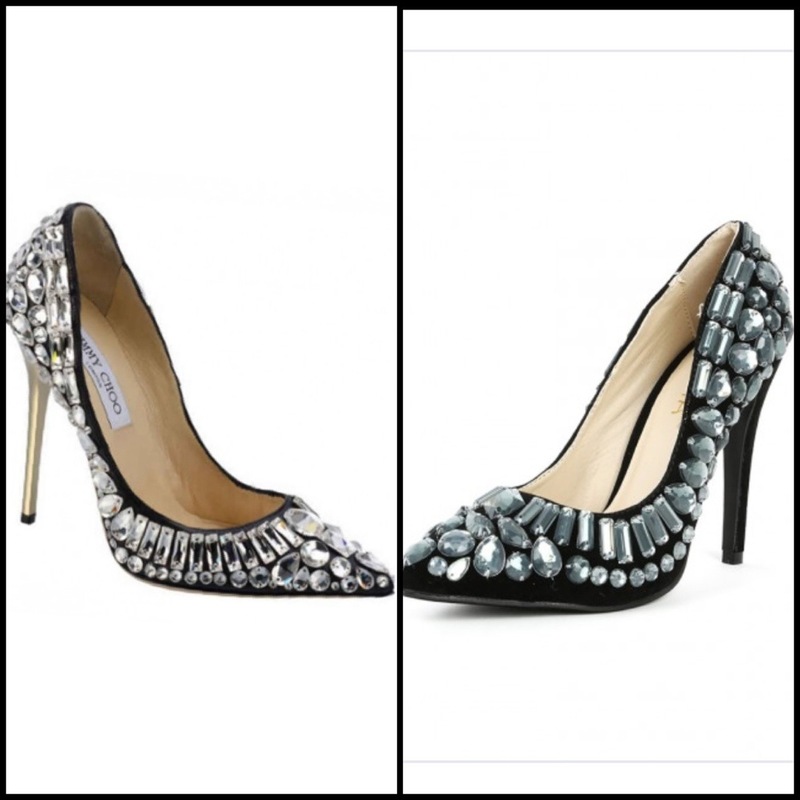 Steal feature with a pair of Jimmy Choo bejeweled heels to see when it’s a good time to splurge or go for the steal. Now I stumbled across Valentino studded flats and replica’s on another website. 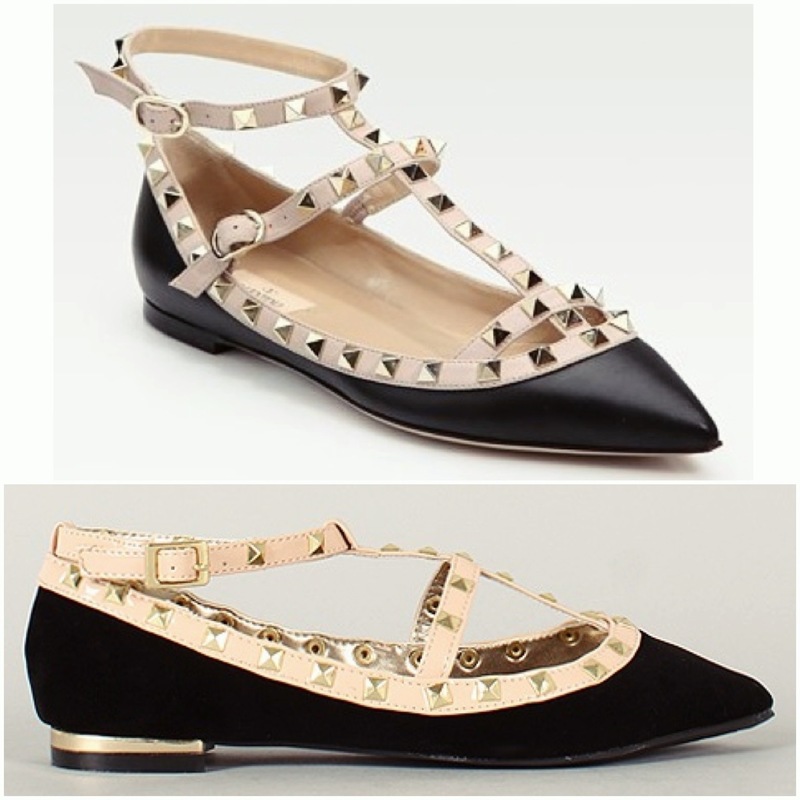 So regularly the Valentino Rockstud Patent Ballerina Flats T.05 are approximately $845. They are gorgeous, patent leather, with gold studs, pointed-toe and available in a variety of colors. They are perfection! But with a price tags like that, it’ll break my bank. The alternative, Dollhouse Stunner studded flats for around $25-28! The difference, aside from the designer name, they are suede, not as pointy and they have a gold lining on the back of the heel. Of course there might be other differences but hey, they can’t always be exact. So, what would you do? Splurge or Steal, or none of the above? Livin’ La Vida: Janelle Blanford – Lights, Camera, Action! Every once in a while we meet someone who is great on the inside as they are on the outside. There is no doubt that model Janelle Blanford is an American Sweetheart. In this week’s “Livin’ La Vida” segment we meet a Southern California model who reaches for the stars and shines just as bright as them. So how did modeling come into her life? Oh we know NOBODY messes with us and JMac! How awesome though, it was as if it were meant to be. Janelle’s a pro by now with plenty of features and ads, the leading lady in The Summer Set‘s music video and not to mention you can spot her daily on MakeMeChic.com‘s website. But of course there must be something more that she would like to accomplish? Pushing oneself is always the hardest, with challenges left and right, there must be some sort of motivational quote or speech she gives herself and of course it comes from none other than her mom. The quote? Well, how bad do you want it J? I’m sure she’ll get there in no time! This gorgeous brunette is setting her bar high and we’ll be on the lookout for her billboards all across LA one day. Come back next week for another installment of “Livin’ La Vida – Janelle Blanford“, where we’ll find out her daily must-haves, how she preps for a shoot and upcoming projects and make sure to follow Janelle on all her social media sites as she makes her dreams come true!